Facelift in Thailand is a surgical method that removes excess facial skin to make the face appear younger and fuller. However, the problem with the aging face is usually not just the skin, most often, the fat deposit and the muscle tone are affected as well. With this, facelift in Thailand is most commonly combined with a number of several other surgical techniques such as necklift, blepharoplasty (upper eyelid surgery and lower eyelid surgery), liposuction, autologous fat injection or stem cell fat transfer, forehead lift, brow lift, chemical peel, laser skin resurfacing, and other face implants. All of which are also available in our one stop plastic surgery and dental clinic. With Facelift Surgery, the skin is literally lifted o faceff the so that the skin and the tissues beneath can be tightened and the skin can be repositioned smoothly over the face. This is considered the most extensive and complicated procedure to correct early to late signs of aging. During your initial visit in our center to undergo Facelift in Thailand, you will be asked to provide our staff with a general medical history, together with details of any previous facial surgeries you’ve had. On your personal consultation with our surgeon, Prof. Kunachak will lift your facial skin in order to assess what technique will be best for you and what result you can expect in return. During your physical examination, your facial bone structure will be assessed along with your underlying skin structure such as thickness, texture, elasticity, and the extent of facial wrinkles and folds present. This evaluation will be used by our surgeon to formulate a surgical plan to achieve the result that you originally discussed, or at least to point out the problem areas and propose a solution for improvement. Generally, facelift is a very versatile procedure, and your surgeon will explain the technique that he or she feels most comfortable with and that offers the lowest risk. Your plastic surgeon will select the surgical technique that he or she feels will obtain the best outcome for you based on your discussions regarding the outcome you wish to achieve. It is highly recommend however that you bring with you a photo of how you wish to look like such as your younger photo so our surgeon will be able to explain if the result you want can be achieved with the procedure that you are planning to partake. 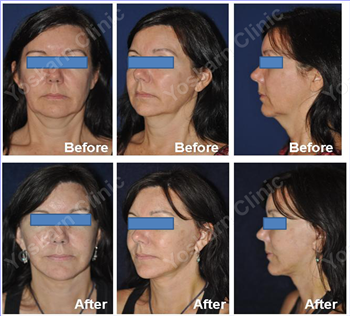 WHO ARE THE BEST CANDIDATES FOR FACELIFT SURGERY? 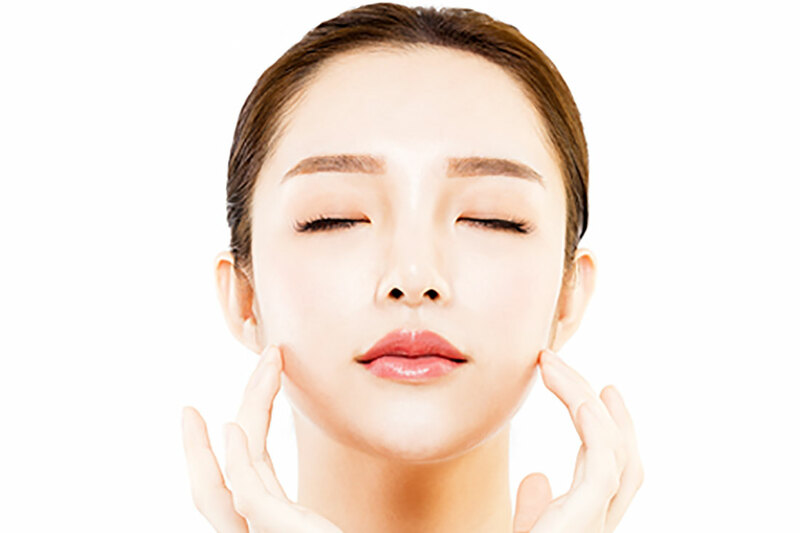 Clients who are best suited for Facelift in Thailand are those who are physically and psychologically healthy and with realistic expectations regarding the possible result of the procedure. Patients should be well informed and should understand and accept the benefits along with the risks and complications associated with facelift surgery before consenting. Additionally, it is highly favorable when the patient has good skin elasticity for better results. Clients who smoke are advised to quit smoking at least 2 week before their scheduled surgery and even well after that so as not to cause any delaqy on the healing. Since the approach for this procedure varies depending on the patient’s face contour, shape and degree of sagging, the technique and approach used by our surgeon, Prof. Kunachak, will also be unique for each individual. During the procedure, our surgeon will make an incision that usually begins from the temple down to the curves around the earlobe, ending at the back along the hairline as well. Our surgeon may also make a small incision under the chin to tighten the skin of the neck if neck contouring will be a part of your facelift surgery. The decision of doing these 2 procedures together will however be discussed between you and our surgeon before the start of your surgery. For the facelift proper, our surgeon will separate the skin from the fat and the muscle underneath it. Liposuction may be used in this stage to eliminate some fat to give the face a slimmer look (this again will have to be decided prior to surgery). Under the layer of the skin is called the SMAS (superficial musculoaponeurotic system), this layer will be pulled and folded back over itself to tighten it which will result to lifting of the cheeks and giving the jaw line more definition while also firming up the neck. Finally our doctor will pull the skin back up over the area and remove the excess skin. The incision is then closed with stitches, sutures, or tissue glue. The stitches are usually placed within the hairline so they are hidden by the hair. The surgery can take about 2-4 hours depending on the technique that our surgeon will use along with the extent of the muscle and tissue work that needs to be done. Facelift in Thailand is most often done under general anesthesia because of the duration of the surgery. Though patients often feel scared when we say general anesthesia, it is actually safer for long surgeries as long as a licensed anesthesiologist, like the one we have in our center, can watch over the whole procedure. Other less common, but possible effects of using general anesthesia are tooth damage, severe headache, breathing difficulty, bruising, and confusion. Since facelift in Thailand is an invasive procedure, we sincerely ask patients to please follow our guidelines in preparation for their surgery such as the medications to avoid, smoking and drinking habits, and medical history. ***We require full disclosure of medical history in order for our team to prepare for the procedure, otherwise, complications may arise. Make sure you are healthy and fit for the procedure. A period of depression is normal especially a few days after the surgery as you will see nothing but bruises and swelling. Please keep in mind that it will take at least 2weeks before you can start to appreciate the result of the procedure and it will take 6-12 months before the result settles. Some patients heal faster than others and there is nothing our team can do but to advise you to stay healthy and to be in your optimum health before your surgery so your body can recover faster. Some post-op preparations such as arrangements for your transportation, and your daily chores and responsibilities should also be arranged prior to surgery so you will be worry free during the first few days of your recovery. Serious complications after facelift in Thailand are extremely rare while risks during the facelift surgery can be minimized when the surgery is performed by an experienced plastic surgeon, just as risks are minimized for other types of surgeries when performed by surgeons with specialized experience in those fields. · Blood Collection – this may occur during the recovery after facelift and may then form into a hematoma. If this happens, our surgeon will insert a tube and remove the excess blood. · Infection - signs and symptoms of an infection include increased redness, swelling and pain. Our surgeon however gives prophylactic antibiotics after surgery hence the chance of contacting an infection is very slim. · Scarring – though our surgeon will do his best to make the scar as inconspicuous as possible, some people are really more prone to scarring than others. Persons with darker skin have a greater risk of abnormal scarring, which can be raised, hypopigmented (light), or hyperpigmented (dark). If this happened to you in the past from incisions or scars elsewhere on your face or body, you should inform your surgeon so he can explain the possibilities with you. · Hair Loss – just like scarring, our surgeon will take extra precaution to minimize hair loss but this is possible around the incision sites. If you are very concerned about this, you should discuss this with our surgeon prior to consenting to surgery. Other less common but possible complications are nerve damage and necrosis. These are more extreme complications and they happen in extremely rare cases. WHAT HAPPENS AFTER SURGERY AND HOW LONG IS THE RECOVERY PERIOD FOR THIS PROCEDURE? You would experience bruising and swelling that will last for about two to three weeks after your facelift in Thailand but this is normal. You will feel better in 3-5 days and you may be able to go around as we encourage early ambulation for faster recovery. In most cases, our surgeon will remove your bandages just a few days after surgery and follow up visits will be frequent to check the status of the incision sites. Most people can return to work in two to three weeks, but light activities can be resumed in 7-10 days. WHAT SHOULD BE AVOIDED AFTER SURGERY? Like all other types of facelift procedure, hair dyes and treatments should be avoided for up to 4weeks post-operatively. Patients are also highly encouraged to not go back to smoking during the healing period as it further delays healing. Aspirin should also be avoided as it may trigger bleeding tendencies. Strenuous activities such as weight lifting or sexual activity should be avoided for about 6 weeks as it may cause strain to the incision site which can also cause bleeding. Aside from world class surgeons and medical team state of the art equipments and innovative techniques, we also have staffs who are professional yet warm so you can be sure that your Facelift surgery with us will be nothing but comfortable. As part of our services, we also offer a whole package of accommodation from our nearby hotel, Aphrodite Inn, which sits adjacent to our facility with a connecting door on the 2nd floor for patient privacy. This floor was also converted to suit the needs of our patients, pre and post-operatively. Each room is equipped with mechanical beds, with hotel quality mattresses, and oxygen outlet for patients who just had surgery. Medical equipments and emergency apparatuses are also within reach from the rooms so there will be no need to worry about recovery. Prof. Somyos Kunachak and the rest of our team also pays visit to all patients staying in the nearby hotel every day. Patients who are staying with a companion also enjoy the privilege of sharing the room with them as part of their surgical package. The restaurant on the 1st floor prepares authentic Thai Cuisine with International meal choices as well. Our team can also make arrangements for tours and transportation depending on the client needs.